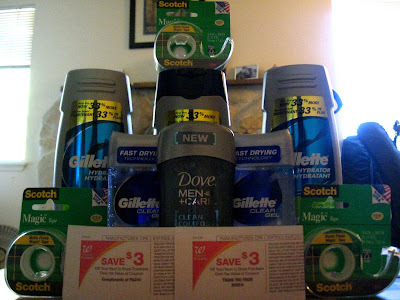 I also scoped out another good body wash deal, in case any of you are having a hard time finding the Gillette in stock! There was lots of Old Spice in stock at my store, so that shouldn't be a problem! This deal is good through Saturday, the 21st. I found out about these hot deals from Coupon Connections here and here. They run through Saturday, the 21st. Final Price: $0.12 Money Maker! I made sure to check with the manager of my Walgreens on whether or not she thought it was okay to use the FREE deodorant wyb Gillette body wash coupon in combination with the $2/1 Gillette Body Wash. She said it was perfectly fine because the first coupon is for the deodorant and the second one is for the body wash. I had seen that it worked for other bloggers, but I like to check with the manager before I try something new that I am not totally sure will work. Sure enough, it went through without a hitch! There was speculation that the Gillette bodywash was on unadvertised BOGO 50% and I noticed when I got home that one of my bottles did in fact ring up as 50%. I had a great trip to Fred Meyer this week and probably one of my best cashier experiences along with it! She danced at how much I saved after scanning in all my coupons, it was so awesome and encouraging! I made sure to thank her for her helpfulness and enthusiasm! These deals are good through today, Saturday the 14th. So if you see something you want, make sure to check out The Coupon Projects list of Fred Meyer deals for this sale! All of the above is from Fred Meyers! 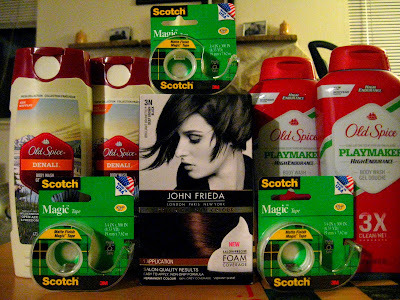 Saved 70% at Fred Meyer This Week! In an effort to help point beginning couponers in the right direction, I have decided to change up my blog format a bit! I have been approached by quite a few people about couponing and I'd love to not only encourage you with pictures of what coupons can buy, but show you where I am finding my deals every week. If you're new to couponing and would like to learn, be sure to check out The Coupon Project's "Coupons 101" series! This series was how I learned to coupon and a great resource for all beginners!! I found my deals through Fabulessly Frugal's Walgreens matchup. These deals (and a bunch more!) are good through Saturday, May 7th. For this deal and more, check out Thrifty and Thriving's Target deals. These deals are good through Saturday, May 7th. I originally went to Walmart looking for some very specific deals, none of which I could find (don't yuh hate it when that happens?) Sooo I decided not to make it a totally wasted trip and pick up a few free or essential items. 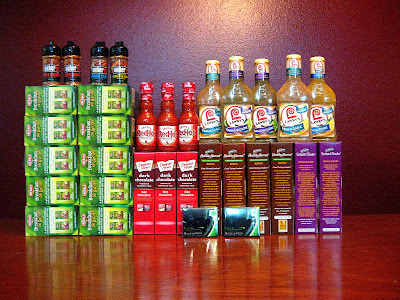 For these and other great Fred Meyer deals, check out The Coupon Project's Fred Meyer deals. The sales are available through Saturday, May 7th. These Albertsons doubler deals ended on Tuesday (5-3). 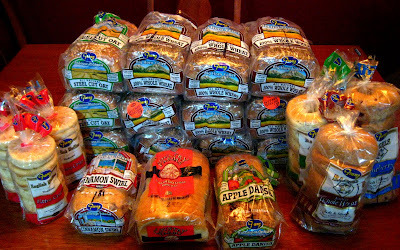 If you don't know what Albertsons doublers are (also called Twice the Value coupons) or how they work, click the link above to find out! I generally find the best lists of doubler ideas from Fabulessly Frugal and Happy Money Saver. I found these deals on The Coupon Project's QFC matchup. The sale runs through Tuesday, May 10th! This week we made the switch over to organic milk!! I was able to find very reasonable mark down prices on both regular organic milk and lactose free organic milk. My new goal every week is to try and find mark downs on organic milk so that we can afford to stick with making the switch! The mark downs I found gave us about 5 days till the sell by date on the milks, but that does not mean it goes bad on day 5! Technically, my milk expired yesterday, but it still tastes perfectly fine and I plan to have it finished by tomorrow (which will be a week from when I bought it). 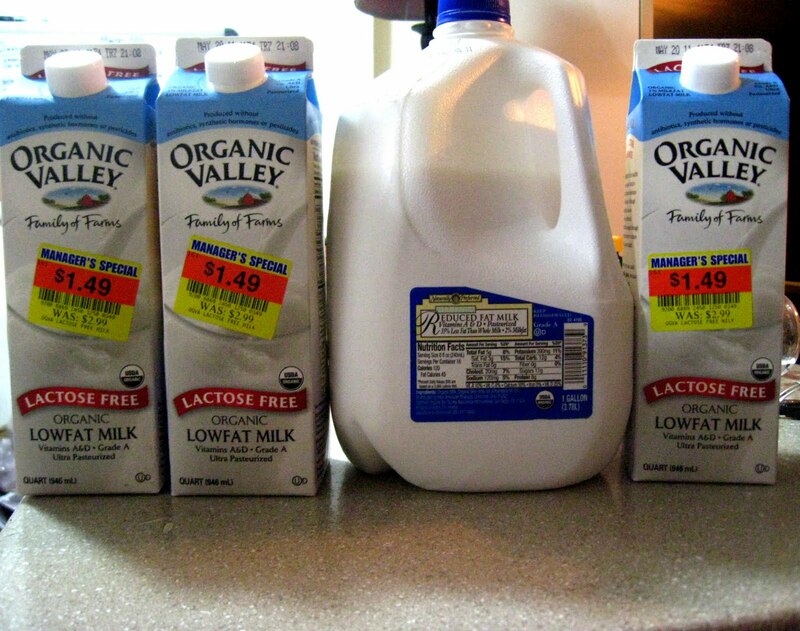 Buying milk that is marked down may not work for every family because it all depends upon how quickly you consume it. I typically go through a 1/2 gallon per week of my lactose free milk, where as my husband, who drinks regular milk, can easily polish off 2-3 gallons in a week! During this switch to organic, we're trying to start off by buying only 1, maaaaaybe 2, gallons of organic milk per week for him so that we can keep the cost low. I decided to make the switch now for a couple of reasons. I did some more research about organics and organic milk to try and find out just what we were dealing with. And what I found out made me feel kind of queasy! I will be sharing some of this information in my next organics post within a few days. The other reason I went for the organic milk this week: I found it on mark down! I hadn't thought to look for organic milk on mark down until I spotted it last week at the grocery store! With the mark down price, we can afford to make the switch. Where as at the regular price, we can't, so I thought we were going to have to wait. Anyways, on to this week's shopping trip! This was by far my best shopping trip to date, savings rate wise! 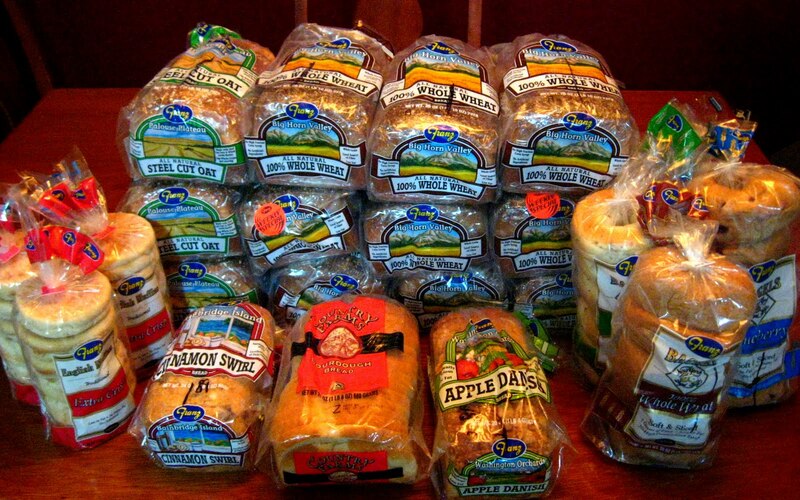 Third Week of April - Saved $272.45!! This week's realization was very interesting... My husband, Donald, is getting back into the busy season of work (praise the Lord!) and has gone from working an average of 2 days a week, to working all 5! On top of working every week day, he is currently taking a CNA certification course on the weekends from 2-10 pm. So he is basically went from working 2 days a week to working 7! Let me tell you, it is a relief on the income side of things now that it is finally catching up to us, but at the same time it means buy A LOT more groceries. When Donald works a full day of moving furniture and boxes, he will burn at least 6,400 calories (and that's on top of his basic metabolic rate of roughly 2,800.) 6,400 times 5 work days is 32,000 calories (not even figuring in the calories burned on the weekend). Our program figures that in order for him to lose weight while working full time at this job, Donald has to eat roughly 7,300 calories per day. To break it down further, that means he needs to be consuming 830 - 1,199 grams of healthy carbs, 164 - 287 grams of fat, and 184 - 646 grams of protein every day. Now you may be shaking your head and saying there is no way this could work. Well, it actually does. We did a test run last summer for a week and a half (because we couldn't afford to buy enough groceries for longer than that!) In that week and a half, Donald dropped more than 10 pounds! The difference between last year and this year: COUPONS! We haven't been able to make this eating/weight loss schedule work because buying 32,000 calories worth of food every week at full price is simply ridiculous! Donald's work load increasing kind of caught us off guard this year. All of the sudden a couple of weeks ago he just started working everyday! So I was a little stressed out when I realized how much food I needed to start buying for lunches. 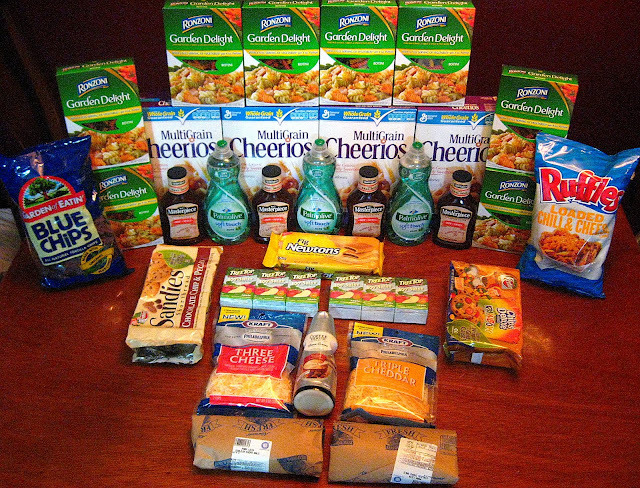 But I am determined that we can get Donald on this diet and drastically offset the cost by matching coupons and sales! Stay tuned for updates! Just curious, is there anyone who would like me to start including the stores I shop at or the trips I take during the week? 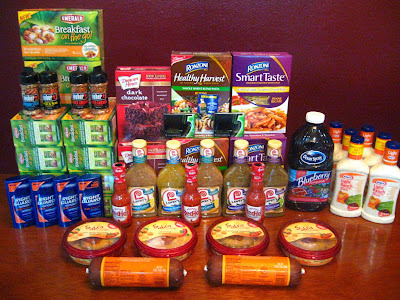 32,000 Calorie Coupon Diet + Saved $249.78! !